Material replenishment is a real challenge for manufacturers. The fork truck free utilization requires that materials are staged for as little down time as possible. One piece flow and small lot delivery allows for a far more precise calculation of material replenishment. All manufacturing processes are not equal, and some processes are identified best-suited to one piece flow. Rate-base or Just-in-time involves forecasting of the flow rate or takt time. RCCP – rough cut capacity planning monitors impact of mix and volume. The differentiation is the manufacturing process is either produced to rate (TAKT) rather than discrete orders or customer pull. Material replenishment is distinct based on demand flow versus time-phased requirements planning. The challenge is maintaining flow priority and timing, best accomplished via one-piece flow, zero inventory, standard WIP – work-in-process. The advantage of seamless flow/pull of material is capped off with dynamic cycle time, also known as Little’s Law. Little’s Law calculates the average waiting time and the average number of items waiting for a product or service. This fundamental law has found numerous uses in operations management and managerial decision making. The combination of discrete forecasting and/or demand rate-based forecasting is often characterized by MRP planning — pull Kanban, Heijunka visual shop floor control. The orders are flat Bills of Materials, more often cellular manufacturing, and point-of-use rather than central stores. In this environment, inventory is strategic: standard inventory, time-based replenishment, pull based on consumption vs. push based on demand. The inventory management is based on statistically balanced rate, build to level-loaded demand with calculated standard inventory buffers. Discrete requirements planning (firm orders and long-range forecast) allow for a Rough Cut Capacity Plan (RCCP) and timed phasing of requirements, application of order policies: lead time, and safety stock. This process is based more heavily in Capacity Requirements Planning with the ability to aggregate disparate requirements across multiple products by work center, supplier, and products. This methodology is batch processing, not one piece material flow, and has multi-level inventory with stores, picks, kits, move, and queue as the manufacturing steps. 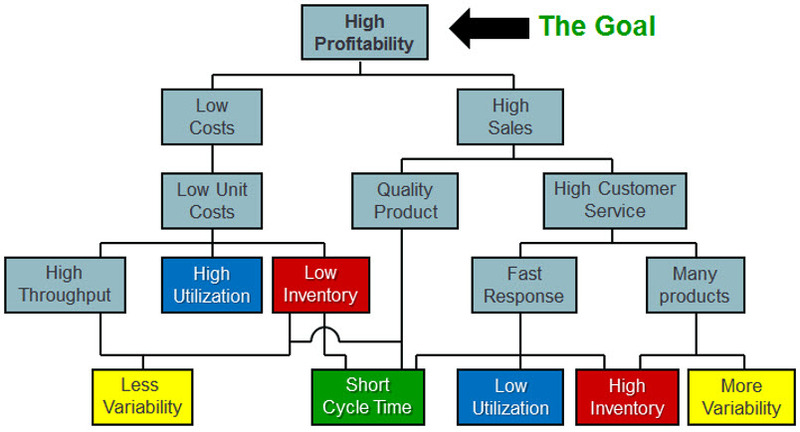 This is the least lean manufacturing process because demand leveling is difficult and not at all economical. Point of Use replenishment is the foundation of lean and fundamental in the elimination of waste. Ensuring that materials are available to workers exactly when, where, and as needed, help to eliminate wasted movement, time, and excess inventory. One piece material flow delivered by a fork truck free work environment support a myriad of replenishment methodologies and system designs to help manufacturers on continuous process improvement. Working with buyers, planners, line leads, and other personnel to map the most efficient supply system for each value streams or production lines assures simplified materials handling.